New. 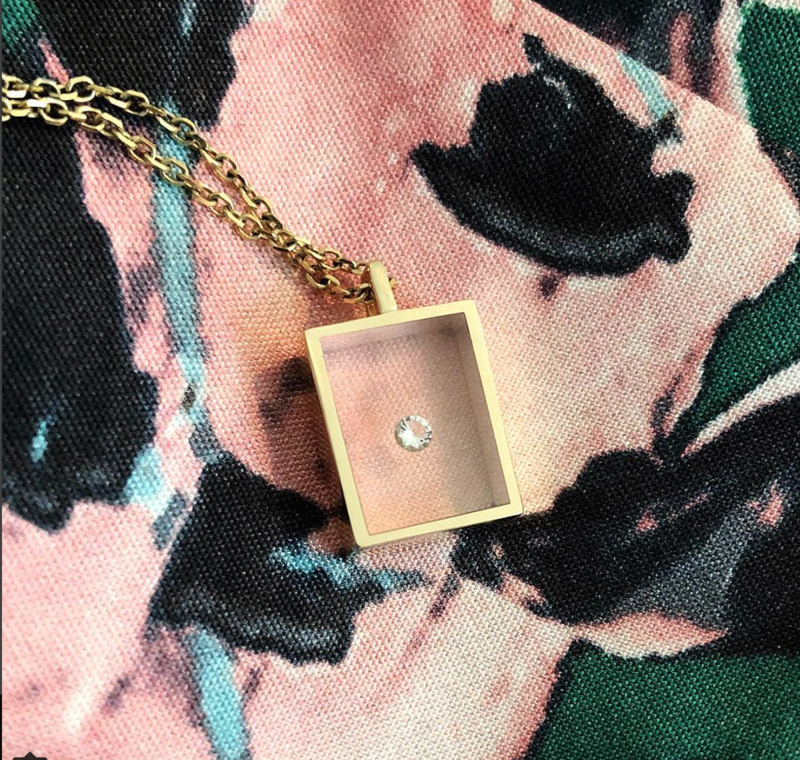 Our Floating Diamond Box Necklace was inspired by a French piece that Nicole's grandmother wore.Each carefully set diamond appears to be floating within a wide gold frame. When worn against a dark backdrop, the diamond especially pops. This piece is classic and substantial, but with a highly delicate look. 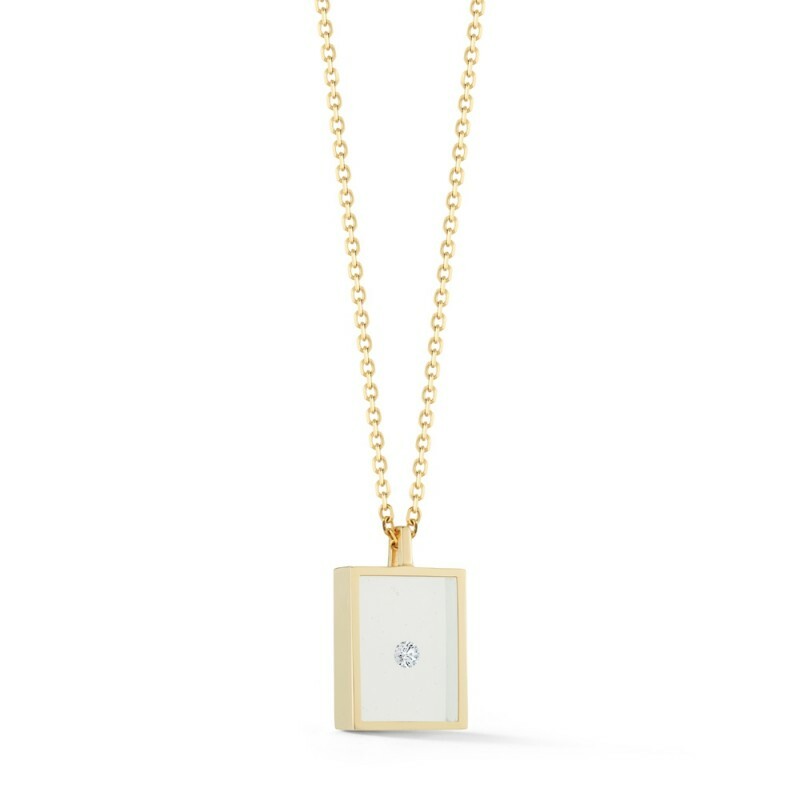 *Birthstones are available upon request. Email us at info@garlandcollection.com for custom orders.